The Japanese government is establishing an International Rescue Complex to promote research and development of key technologies for realization of practical search-and- rescue robots, anticipating for future large-scale earthquakes and other catastrophic disasters. 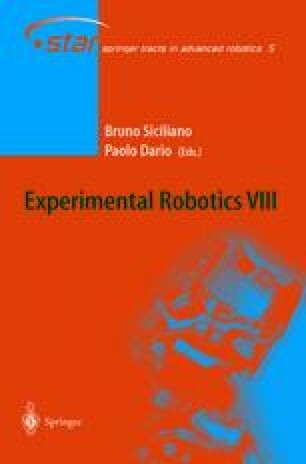 This paper proposes a new paradigm called “snakes and strings”, for developing practical mobile robot systems that may be useful in such situations. “Snakes” stands for snake-like robots, which can skillfully move among the debris of the collapsed buildings. “Strings”, on the other hand, means robotic systems using strings or tethers, such as proposed in the “hyper-tether” research . Tethers can continuously supply energy, accomplish reliable communication link, and also exhibit high traction force. This paper will present many new mechanical implementations of snake-like robots developed in our lab., and also explain in detail the new paradigm.